I would also like to recommend a sung version of the chaplet, recorded live at the National Shrine of the Divine Mercy in Stockbridge, Massachusetts. I guess this is played on EWTN (I don't have cable so I can't verify it.) My Relevant Radio station used to play it sometimes and I fell in love with it. It really brings tears to your eyes! There are several versions but I especially like the one produced by Trish Short. 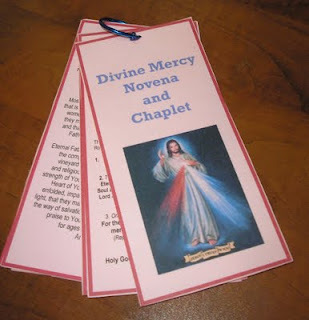 We're praying the Divine Mercy Novena too!! happy blessed Eastertide to you and your family, Cheryl!